Home > Blog > Happy 50th Birthday, Phentermine! Born form the same era as prepackaged foods and electrical home conveniences phentermine is fighting the fat rather than feeding it. Since being approved by the FDA in 1959, the appetite suppressant phentermine is the number one prescribed obesity medication in the USA and has helped thousands of people get their weight under control. Other diet medications have been launched into the market but none have been able to replicate the success of phentermine. The 1950’s saw the introduction of prepackaged convenience foods, the first TV dinner and the rise of hamburger chains. Our nation’s love affair with quick, easy-to-prepare food rapidly followed. The food revolution that took place in the 1950’s has largely shaped the way many of us eat today. Now, preservatives, added salt and added sugar have saturated the majority of prepackaged foods available in our stores. 1950 was also the decade of new home appliances that made light work of all the strenuous household chores that required regular physical activity. You could say that the technological developments that debuted in 1950’s have a lot to answer for when we look at today’s obesity rates which are a result of our high consumption levels of unhealthy processed foods and low levels of physical exercise. Ironically, the 1950’s also gave us phentermine, which today has become for many, the weapon they use against their desire to indulge in the unhealthy foods that have evolved from the convenience foods of the same era. Also known to stimulate energy, phentermine can help dieters find the motivation to get active and increase their exercise. Over the past 50 years phentermine has provided people with the lifeline they needed to turn their life around. Phentermine has enable thousands to lose weight, learn new eating habits, get active, become healthy and regain their self-confidence. With no other weight loss medication currently available that shares the same history of success, and nothing in the pipeline from the pharmaceutical industry, phentermine looks set to stay in the top spot for some time to come. 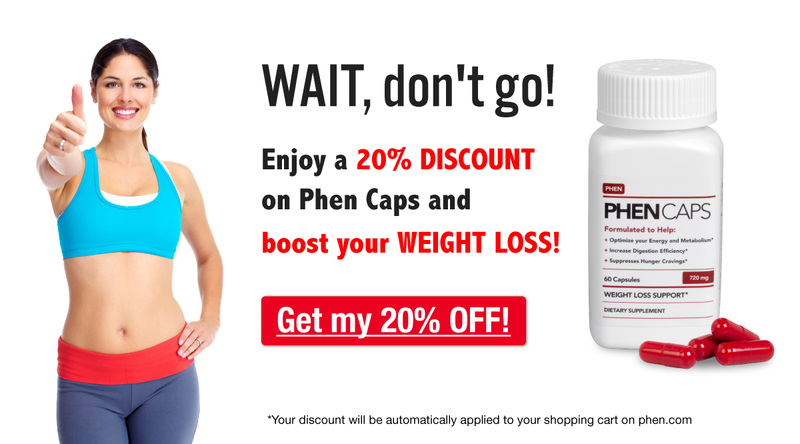 Phen Caps Offers Worldwide Weight Loss Opportunity!